Getting your business “out there” locally. Building a website is not enough to get your local business in front of local customers searching for your services. You need good solid SEO to make sure your customers find your content and search engines know what you do and what you’re writing about. If you’ve dipped your toes into the sea of information about Search Engine Optimization you probably went cross-eyed and had that sinking feeling that accompanies a test you haven’t studied for. 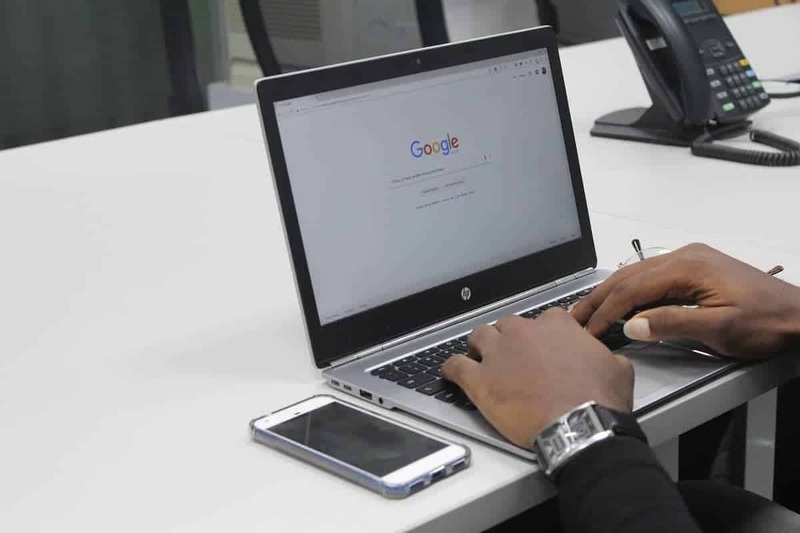 You may also have come across articles informing you that there are some differences between SEO and Local SEO for Small Businesses. It’s enough to make a grown man cry. But fear not. Rome wasn’t built in a day and this problem can be solved with a few actionable steps. Rename your logo file. Include your business name and location in the file name. Don’t forget to add this info to the Alt Tag as well. Remember, search engines can’t read pictures. Don’t neglect your Alt Tags. Make sure you at least have your Name, Address, and Phone Number or NAP on your contact page. We highly recommend adding them to your footer as well so that information can show up on every page and post. This might be too simple, but if you want people to visit your business tell them how to get there. And show them with a map. Most themes have a map module and if they don’t WordPress has tons of plugins to allow you to add a map to your site. Page titles are a great place to sneak in your location. Leaving your title as “home page” is a wasted opportunity. Descriptions are another place you can include your locations as well as your services. Make sure the information you are including on your pages and content is useful. Don’t stuff keywords. Google is not buying your products. People who have a problem they need to be solved are. Write for them. And, while you’re writing for them you should include links to other useful information and other local businesses. The goal is to solve problems for customers and bring value. Not impress Google. Let search engines know you are in the US. It’s important to not leave them guessing. Schema.org markup tells search engines what you provide, what your page is about, where you are located, which image is your logo, etc. It’s important to know it make sure you have the correct information marked up. Have your team on your website. Chances are if you’re a local company your key employees are from near where your company operates. Their names are associated with your region. Are you holding a seminar, offering a new product or service? Make sure you include them on your website. Link to your social posts and be sure to drive traffic to your site with those posts. Some of these tips may be too much for you to put to work. Schema markup can be confusing and Schema.org was created for geeks and not business owners. Use your location in page titles. Rename your image files with information relevant to your business and location. Once you have this done, head over to Schema.org and try to do the same thing using Schema markup. Remember though, you are writing for people. If all else fails, talk about what you do, where you are located, and solve problems. If all of this sounds like greek to you drop us a line. We would be happy to help you get your local SEO headed in the right direction. If you have a WordPress website or are thinking about creating a website you have probably run across the term Managed WordPress Hosting. You may have noticed it seems to cost significantly more with little explanation. We wanted to expound on the difference and which one you should probably choose. Most of the low end hosting you may have seen during your search for the perfect host is Shared Hosting. These hosts keep costs down by packing as many sites as possible onto their servers. If your site is small with not much traffic (as most sites are in the beginning) this option may be a good solution. When should you consider moving? Let’s get this out there right away, we recommend moving to a Managed WordPress Solution if your website is tied to your lively hood. If you are making money from your website you need professionals watching your back. Making sure that if the unthinkable happens you are back up in no time. The purpose of Managed WordPress Hosting is to give you a completely hassle-free hosting experience so you can focus on running your business. Here are just a few of the advantages of Managed WordPress. Speed is more important than ever. Especially since 47% of consumers expect a web page to load in 2 seconds or less. With professionals Managing your WordPress core, updates, backups, caching and more you know your site will stay snappy. Cheap shared hosting requires your constant attention to keep your site backed up and updated. With Managed WordPress Hosting your site’s security is constantly monitored and if something should get through your site is restored for free. Did you know most “hacks” happen when your CMS is out of date? 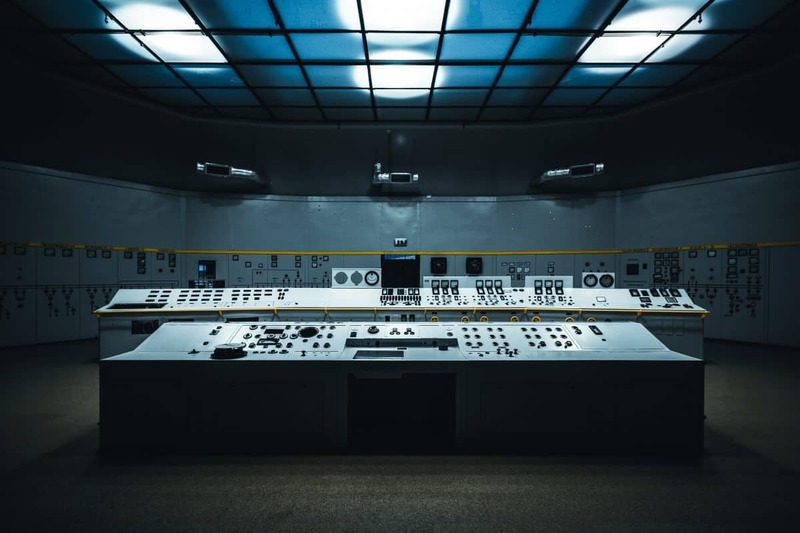 Check out this article from Cloud Living explaining why you should always keep WordPress and any other CMS you might be using updated. With Managed WordPress Hosting, WordPress is updated and backed up automatically every night. Database, WordPress, CDN, everything is optimized to run as fast and securely as possible. No more worrying about what you don’t know. In addition to maintenance and upkeep, Managed WordPress servers are specifically configured for WordPress. Unlike cheaper shared hosting plans you have the dedicated resources of a VPS Server. Your site will not be packed in with hundreds or even thousands of other websites all fighting for the same resources. Your server is managed. Someone is always watching to make sure your site doesn’t go down. Even if you should suddenly have a surge of traffic. With most shared hosting plans you are looking at your site being shut down, crashing, or being charged high overages if you exceed your allowances for site visits. Who doesn’t need Managed WordPress Hosting? 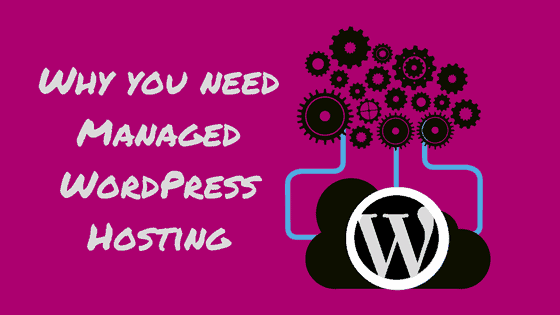 If you have a small hobby blog or are just starting out with WordPress you really don’t need Managed Hosting. We would recommend signing up with SiteGround instead. They have amazing customer service (seriously, just Google it and see for yourself) and affordable rates for those who are just getting started. Once you outgrow their service or start earning a living off your WordPress site then move over to a managed solution. The one exception would be eCommerce. This also ties back to the beginning when we said: “if your website being tied to your lively hood.” If you’re going to be making money off of your website we highly recommend going with a Managed WordPress plan from the start. Have questions or need more information? Contact us about Managed WordPress or any other Hosting question you may have. We’d love to help. Have you ever Googled your business or one of your services? You open your browser, type in your top service, then bang, right there in .0068 seconds your competitor across town pops up. It’s frustrating. You know you know you have this service listed on your site. You know you have it linked to from various citations around the web. You know you put in headers and that the keywords are on the page. But still, right at the top is a list of 3 other businesses ahead of yours. Google is trying to help ….. really. You see this is where Google is trying to be helpful for its end users, and where you can be left behind. Even if your SEO is great, if you haven’t listed your business on Google My Business you will be behind your competitors. Google is trying to show its users relevant businesses that perform the service you searched for from local businesses. We find that a lot of times distance is the tiebreaker as well. Which is great. If two businesses are equally matched then the distance I have to drive to get there is going to be a big factor in me having a good experience or not. Now Google may eventually pick up on who you are, where you are, all that but this is your chance to tell Google through their My Business product what you do, where you are located, hours, and more. This is your “listing” on Google itself. It’s your chance to say what you do and not leave it up to the interpretation of indexing robot spiders. Signing up is relatively easy. Just head over to Google and Search My Business. Or go Here. Go to start now and Google will walk you through their sign up process. If you already have a Google account you would click Sign In. Either way, if you try to sign up twice, Google will pick up on it and direct you to the correct gateway. Once you are signed up it’s time to enter information about your business. They start with Name, Country, Street Address, Etc. If you have a service business without a physical storefront you are going to want to click the box at the bottom that says “I deliver goods and services to my customers at their location” that way Google will list you as having a service area and not start sending people to your house. Once your information has been entered you hit continue. If you checked that you have a service area you will then drop a pin on the map and set that area’s size and scope. If you have a service area and a physical storefront of some kind you set that on the next page as well. Now it’s time to verify your business. Google want’s to be sure you actually exist. One sure fire way of getting that done is to send you a postcard. This postcard will have a code on it that you will have to enter into your My Business account on the location you just created under Verify. It usually takes 1 to 3 weeks to receive the card. Once you receive it that verification process is easy. On the left-hand side, you will see a menu where you can enter your info, see insights, reviews left on Google, create posts and message clients. We will go over messaging clients and creating posts in a future post. For now, just enter your business info. This is where you can give Google as much information as you want. You can upload pictures of your company and employees in action, enter your hours, what you do, different services you offer. You can even access your Analytics and AdWords Express accounts (if you choose to go with Express, which we recommend you not). What it comes down to is Google My Business will actually give you a sense of control over your business. SEO, SEM, and how your website was built can be really overwhelming. Even Google Analytics can be a bit much. Google My Business is the place where you can simply state what your business does and see how you’re doing out there. It’s also a great place to create posts and let your customers and potential customers know if you have a sale going on. All of these things let gain some control of your online presence and move forward with confidence. Need help setting up your Google My Business Account? We would love to help! Drop us a line or give us a call. We can get you set up in no time. This is an oversimplification, but to get us started. If your site has HTTPS in front of your URL, then your website has an SSL/TSL certificate and the traffic between your server and the end users browser is encrypted. If your address starts with HTTP, then it is not. Google Chrome and other browsers have started to warn users that the sites they are visiting are not secure. If your end user (or yourself) transmits sensitive or private data between their computer and your server, that data can be grabbed by anyone between them and the server and stolen. The information will not be encrypted and can be read by whoever is intercepting that information. This all sounds scary and it kind of is. Chances are you are not trying to get your customers identity stolen. You are probably just trying to take online orders for cakes, cards, or widgets of some kind. However, by asking for the data, you should know the risks and how to keep your customers safe. Google started “shaming” sites that do not use Encryption. The browser will call you out and give the user an explanation of what about your site is insecure. Whether it’s mixed content (a mixture of Secure and Insecure content) or you are missing an SSL altogether. Motherboard has a great article on the coming “shaming” from Google and what it means for you. Google made this announcement back in September 2016. You can read that here. There is a lot to digest in both of these articles, but if you have nothing better to do or you need something to put you to sleep they are great reading. While above is the current examples of the treatment of HTTP pages with passwords or credit card form fields, and below is where they are moving to. As you can see your customers will know when their information is at risk. All the more reason to install an SSL and secure your site. Ever since this announcement, encrypted sites have been gaining an edge over their nonencrypted competitors. Neil Patel explains SSL and it’s implications for your site and traffic here. If you had any doubts about securing your site those will be gone after reading Neils post. You don’t want all your hard work and money to go out the window. You need your efforts to be seen by search engines as safe so they can get in front of your audience. We will go over installing an SSL in another post. Installing a certificate is not as simple as turning on a switch on your website. There are things to consider. Do you have a multisite network with subdomains were a wildcard certificate is required? What level of security do you need? Need help making the transition? Not sure where to start? We would be happy to discuss your options with you. Just leave a comment below or reach out to us. Have you already made the transition to a secure site? What issues did you encounter? PixelPrivacy is a great company who wrote a guide on SSL and HTTPS. They have awesome guides for all types of web related security. Check out their guides and let them know what you think. First thing’s first. 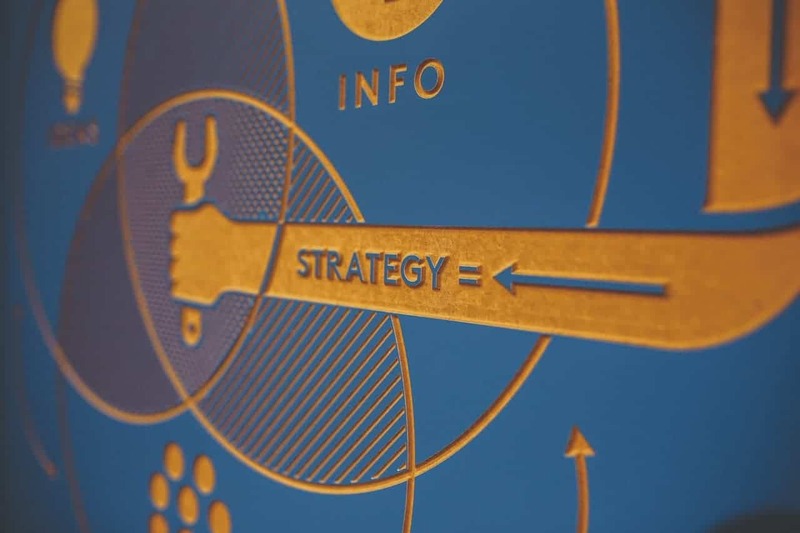 You need a Marketing Content Strategy. Just posting willy-nilly without a plan isn’t effective and doesn’t help you accomplish your goals. A little bit of planning will help you convert followers into customers. The first step in developing a Content Strategy is understanding your business goals as a whole. 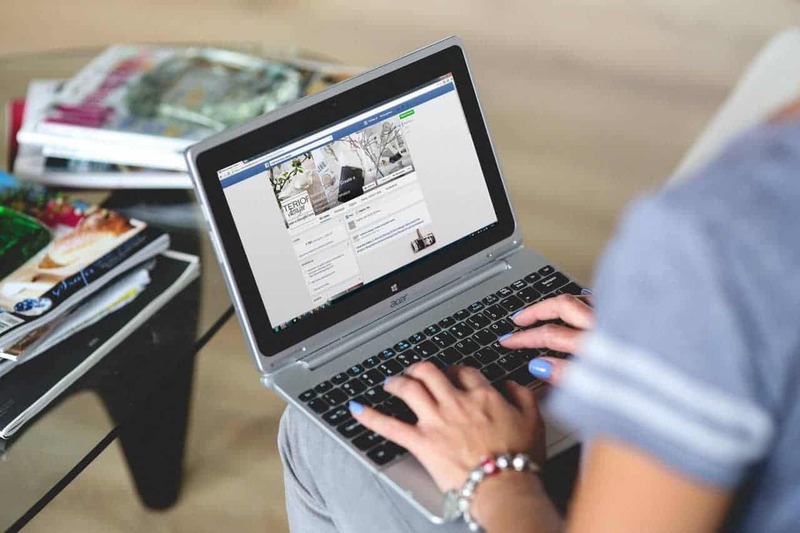 Here’s a Content Strategy Walkthrough from Hootsuite that could help you get started. 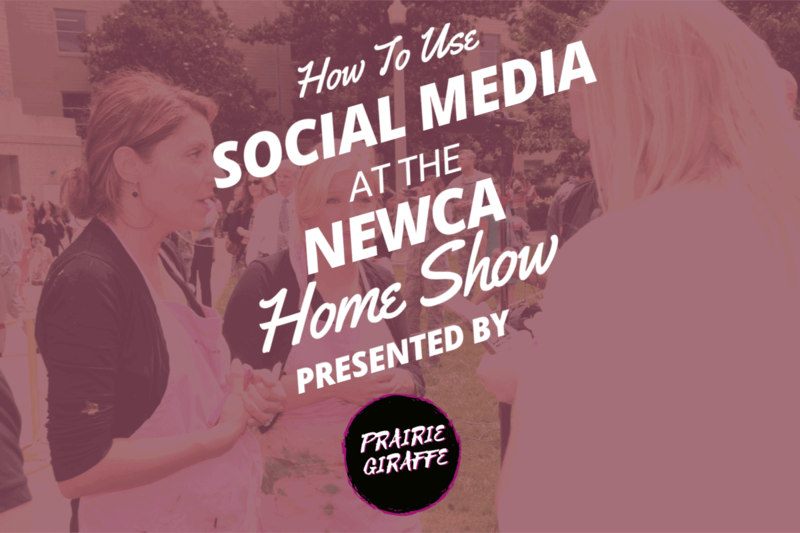 Starting from there you can begin to brainstorm how Social Media can help you accomplish those goals. Then comes the planning – who is the audience, what do they want to see, what are we going to say and when should we post, what is our budget for boosting these posts? Finally the execution of actually creating the post and scheduling them. If you need help with creation, design or scheduling we can help. Reviewing your results and process is a must! A key part of your strategy should be a review of the process and the results of your posts. Ask your team question like how did the process go, what could have made it easier or faster for the next time, and analyze that data. Did your content create sales, did you gain new followers, did it generate dialogue between you and your followers? From what you learn, adjust your strategy accordingly. Also, remember is that you want to have variety so your followers aren’t seeing the same format over and over and tune you out. You can mix up the medium you use – you can use videos for one post and a great image for another, or maybe a link to your blog for another. While you want to make sure you have brand consistency you don’t want all of your post looking cookie cutter. Valuable- Do you have a special going on? Educational – Why does your customer need your product or service? How can you educate your followers? By rotating through these content types you can make sure you are creating and maintaining value for your audience. Providing value is what lets you keep their attention, build trust, and eventually sell your product. 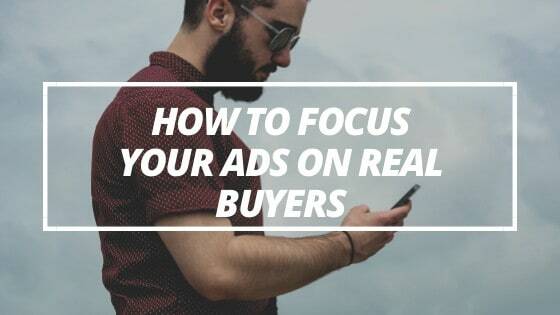 People will naturally gravitate towards the businesses that have helped them out in the past, especially when that business didn’t gain anything from the transaction (immediately). If you help someone or attempt to help someone, by providing valuable information, they are far more likely to return to you for more solutions and pay for them, than if you just tried to sell to them.